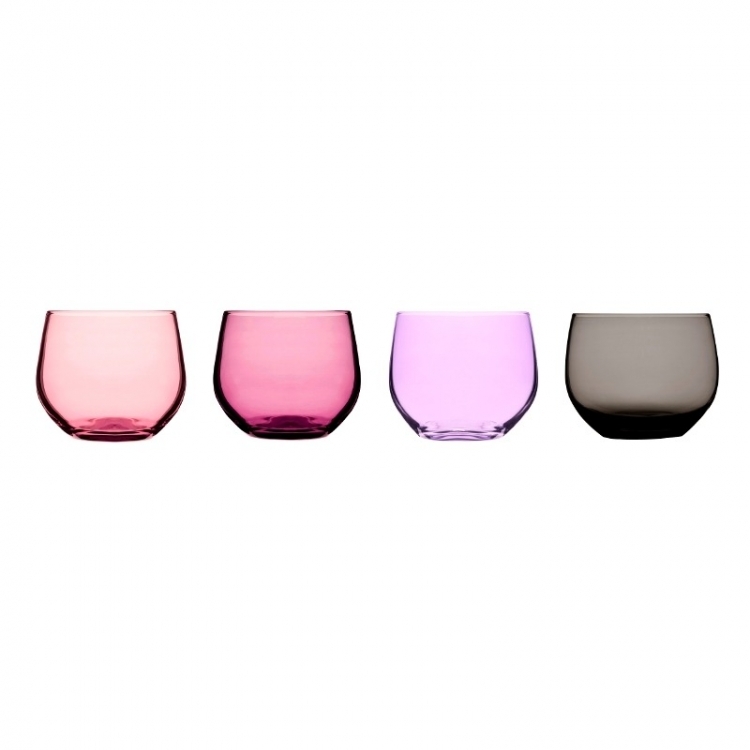 These beautiful glasses from Sagaform's Spectra series is made from mouthblown glass. 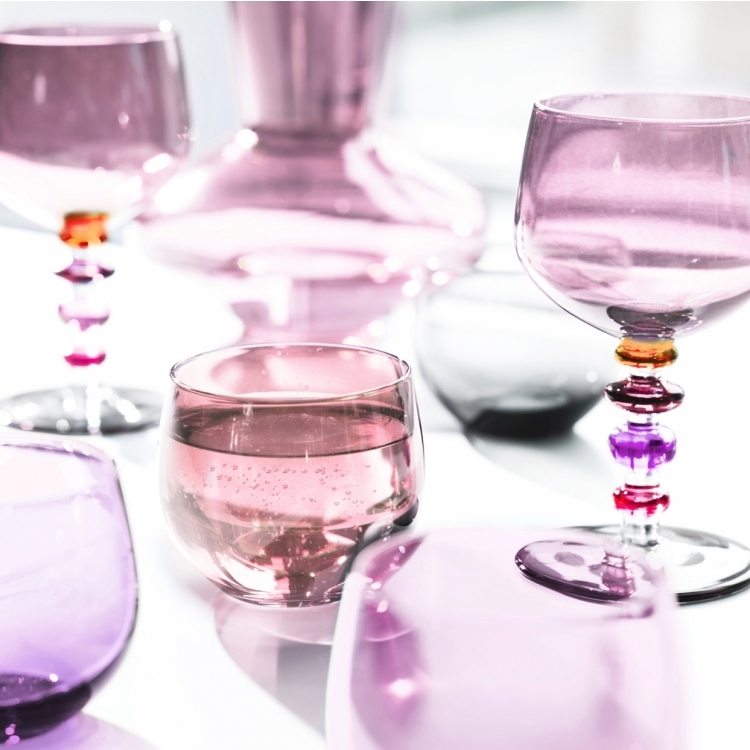 Designed by Swedish Sagaform designer Ann-Carin Wiktorsson. 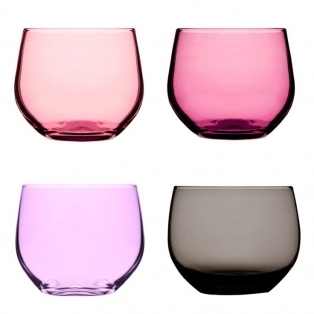 These glasses come in a 4-pack and each glass is different from one another. All have a shade of pink so they work well together as a set.